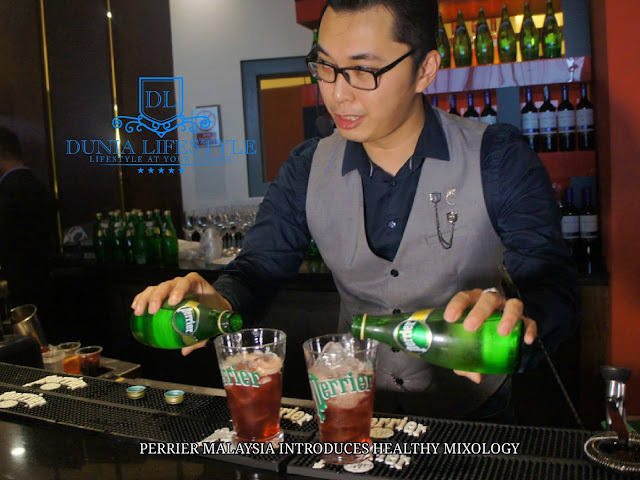 The world’s leader in sparkling mineral water, Perrier, introduces its healthy and refreshing ever ready mixology beverage line-up today at Berjaya Times Square Hotel. Perrier Ambassador, Mathieu Marchal presents the myriad personalities of Perrier as a natural sparkling mineral water fit to be consumed throughout the day and night. It’s low contents of bicarbonate and sodium allows Perrier to be easily mixed with other beverages and ingredients. 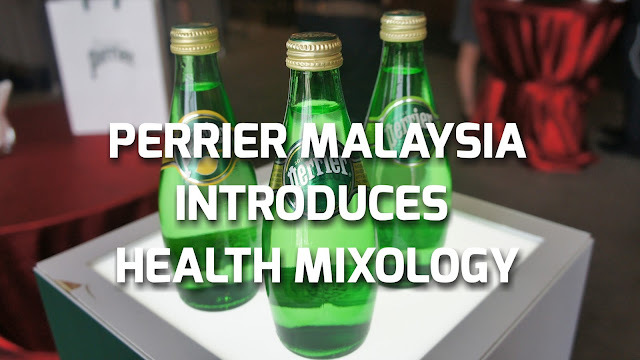 To achieve better health benefits, Perrier can be infused with fresh ingredients such as berries and ginger. "Another innovative way to enjoy Perrier is by having sublimation of watermelon and cucumber slices for a refreshing drink. 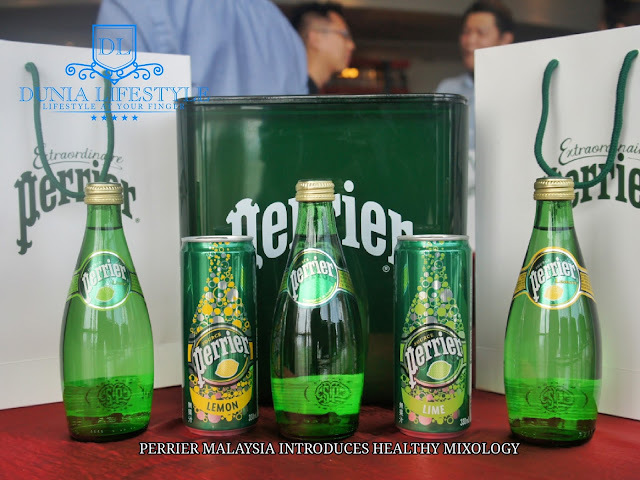 lt’s healthy, and thirst quenching,” said Mathieu Marchal, Perrier Ambassador. Perrier is more than just a natural mineral water. It is known for its premium quality fit for kings. In 1905, Perrier was honoured to be a Purveyor by Appointment to his Majesty the King of England. Today, Perrier is available to anyone, anywhere who seeks quality, prestige and a sense of royal taste. it suits anyone who values taste and gives the opportunity for artistic creativity to flourish. Perrier has been billed as the ultimate thirst quencher that triggers a burst of life. 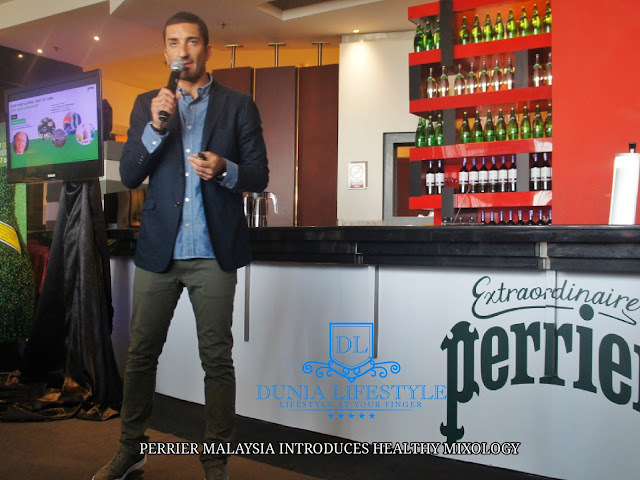 Malaysian foremost mixologist, Kelvin Lee introduces his take on a localised personality for Perrier. The mix of rosella flower tea syrup, thyme, fresh lemon and Perrier known as Perrier Garden Twist is one of Kelvin’s popular creation. Another hallmark creation is a combination of fresh lemon juice, mix berry syrup, honey and Perrier aptly named Perrier Merry Berry. Staying true as the Ultimate Refreshment, benefits gained from his creations includes immunity boosts, diabetes risk prevention and healthy weight loss. 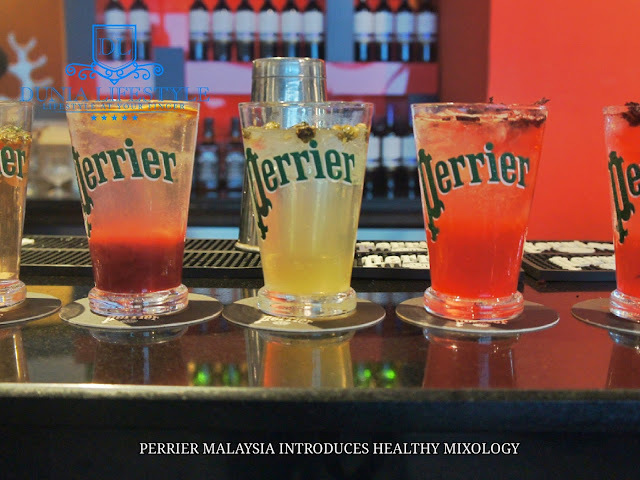 In addition, Perrier also introduces other mixology line-up beverages such as Perrier Sangria, Perrier Jack Gold Line and Jack & Rosella. Regardless of the time or day, you will be welcomed by the many possibilities to make every ordinary drink an extraordinary moment. Like any other premium product, Perrier is available at selected establishments such as premium hotels, classy restaurants, trendy cafes, stylish bars and clubs. For on the go consumption, it is conveniently available at Quick Service Restaurants, Vending Machines, and selected supermarkets. Day or night, Perrier is the preferred beverage choice for health and brand conscious individuals. Originated from the heart of a protected natural environment, the unique spring is located in Vergeze, France. Perrier is a 100% natural sparkling mineral water that has made its presence throughout 140 countries around the globe with the capacity to produce 1 Billion bottles a year, Bottled in an on-site glass factory, the process follows the ISO 14001 (Environment) and lSO 22000 (Food Safety) guidelines and met the National Quality Mark Scheme (NQMS) quality standards.